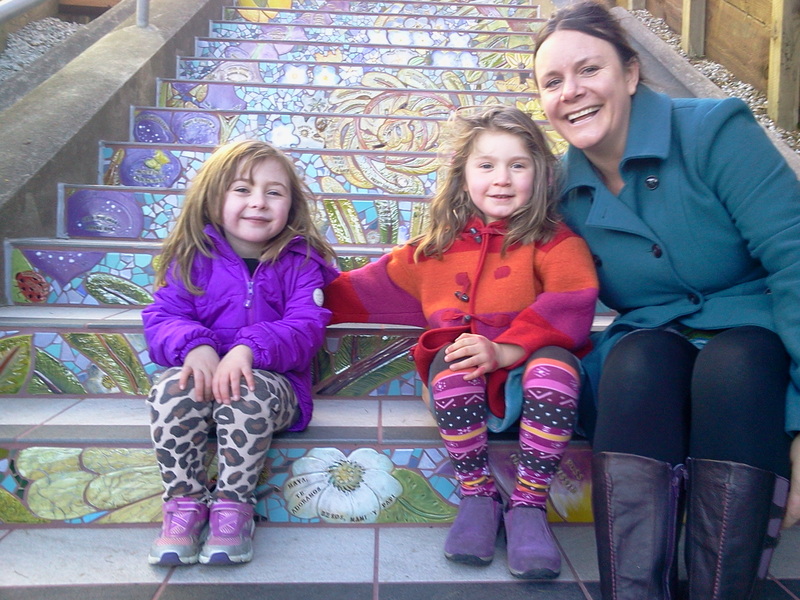 When dreams take shape, the communities that helped create them notice—as was obvious last Saturday (July 20, 2013) while 110 of the 148 ceramic-tile step pieces that will eventually be installed on the concrete staircase on 16th Avenue between Kirkham and Lawton streets in San Francisco’s Inner Sunset District were on display for the first time. This, quite literally, was a preview of a dream in the making over a three-and-a-half-year period. Organizing committee members for the community-based volunteer-drive Hidden Garden Steps project have been working to complete this $300,000 volunteer-driven community based effort to create a second set of ceramic-tiled steps along with gardens and murals since January 2010. 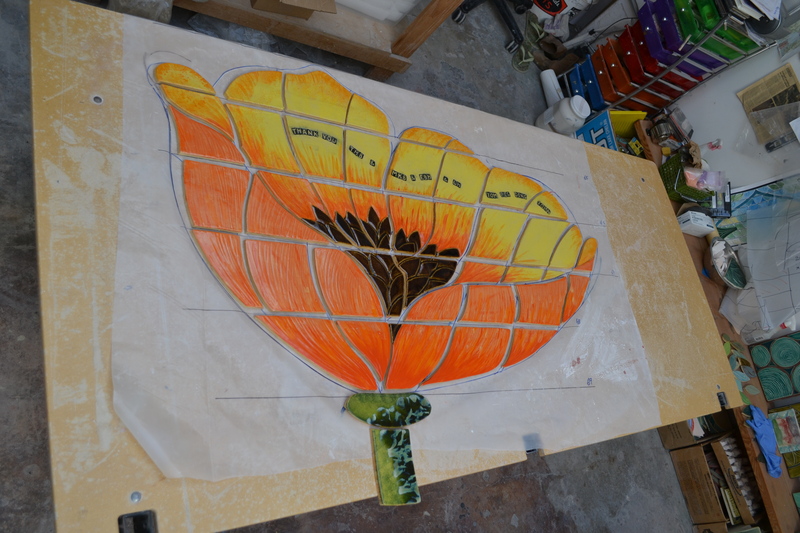 Project artists Aileen Barr and Colette Crutcher have been building the mosaic, piece by piece, since September 2012, and have included numerous volunteers in the process through two public workshops (December 2012 and March 2013). More than 400 individuals—including a few from the United Kingdom and from Paris—and local businesses have made the contributions that have already provided nearly two-thirds of the cash needed to complete the project; in-kind (non-cash) donations of materials and services are providing the balance. 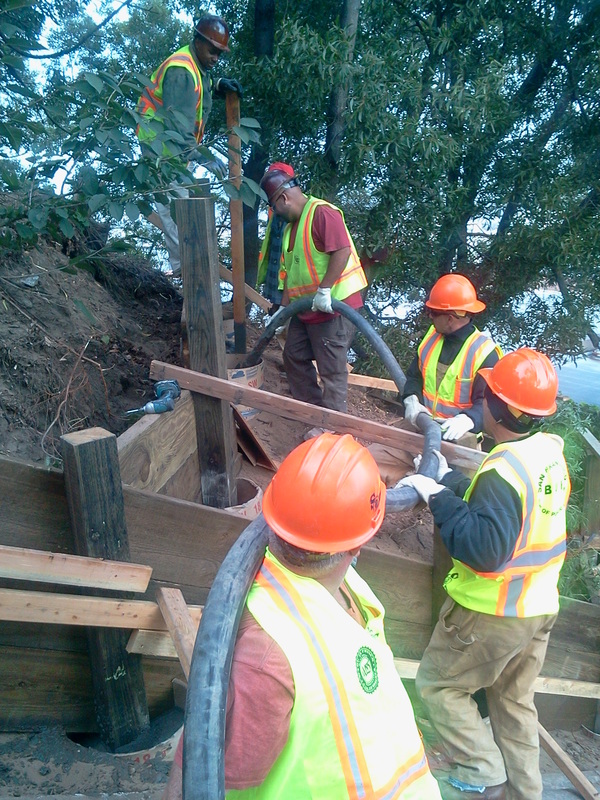 Our partners at the San Francisco Parks Alliance and the San Francisco Department of Public Works (DPW) Street Parks Program have provided tremendous administrative and onsite support, and our colleagues at the City and County of San Francisco Community Challenge Grant program recently awarded the project an additional $32,500 to bring us very close to our final fundraising goal. 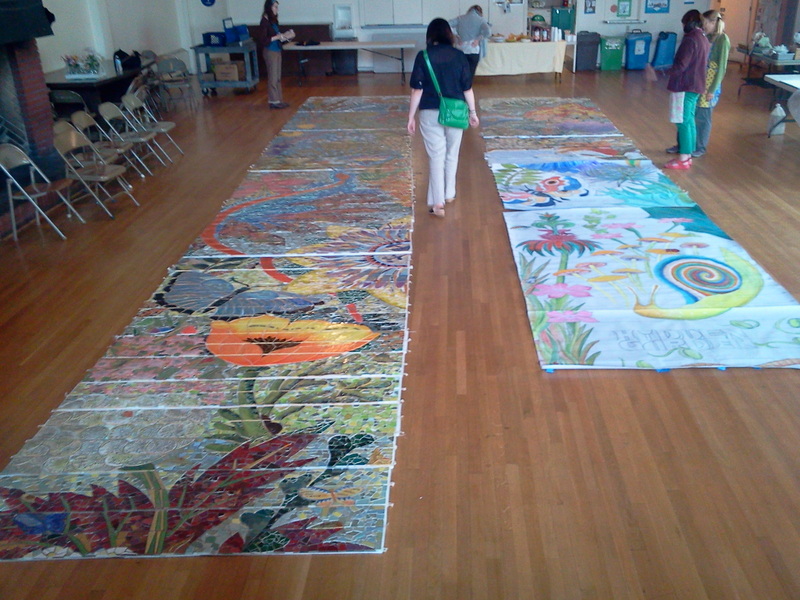 But none of us had seen the entire mosaic-in-progress laid out in its current form before last Saturday—not even the artists, who have been working on this massive permanent community art installation section by section for the past several months. 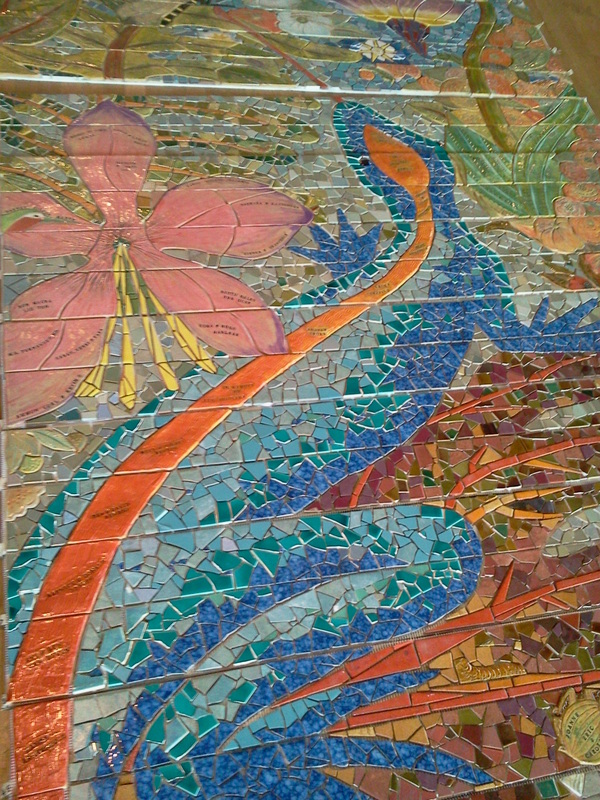 The closest we had come to seeing the project take shape was the continual inspiration provided by the initial Inner Sunset District ceramic-tile mosaic and gardens that continue to serve as a neighborhood gem on Moraga Street, between 15th and 16th avenues and glimpses of smaller, individual segments for the Hidden Garden Steps mosaic. The results were spectacular. Dozens of community members lingered around the mosaic over a four-hour period, repeatedly commenting on how it was even more beautiful than they had imagined it would be. Many people, realizing that opportunities to add their names or inscriptions to the permanent mosaic would end in less than two weeks (July 31, 2013), made contributions so they would not be left behind on this one. (Onsite tile purchases that day brought in nearly $5,000, and additional online purchases have, as of this morning, raised that total to nearly $7,500 over a 48-hour period. 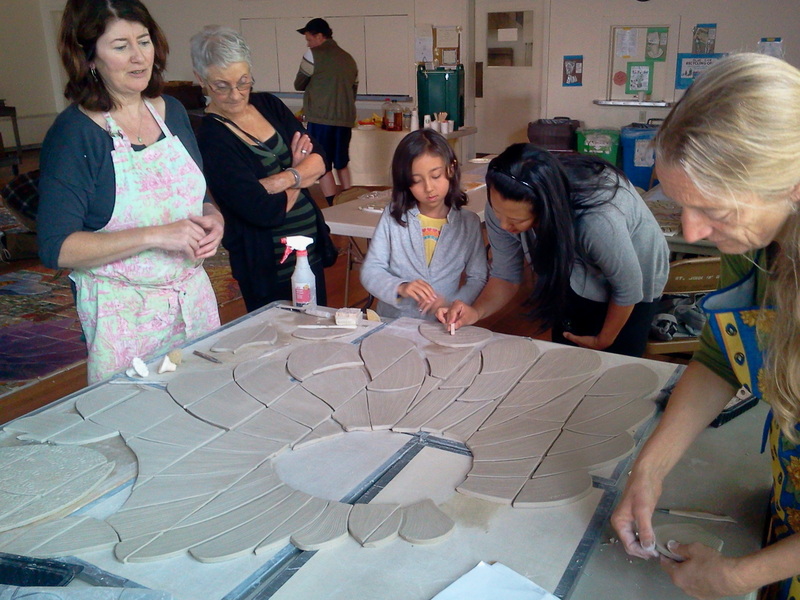 Those who purchased tiles on the spot had the added pleasure of working with the artists to actually inscribe their names into a large tile element in progress. And, most importantly of all, we luxuriated in the visceral evidence that one of our main goals—strengthening the sense of community that already existed in the Inner Sunset District—was reaching fruition as local residents joined out-of-town and out-of-state visitors in a celebration of what volunteers can accomplish when collaborating with a large number of other individuals, nonprofit organizations, and representatives of government agencies. There is still plenty of work to do. We’re in conversation with companies to obtain the tile that must be placed on top of each step to make this a safe area to walk (the ceramic-tile mosaic itself will be on the outward facing segment of each step so that those walking uphill see it as they ascend the staircase; nothing will be visible to those only looking down); our San Francisco Department of Public Works colleagues are continuing to construct erosion-control barriers and terracing to deal with a decades-old challenge before the mosaic is installed; and, as of this morning, DPW employees were onsite to begin completing repairs on the numerous chips and cracks on the staircase that must be done before the completed mosaic is installed (sometime between October 2013 and spring 2014). Anyone interested in seeing community at work doesn’t have to wait that long, however. 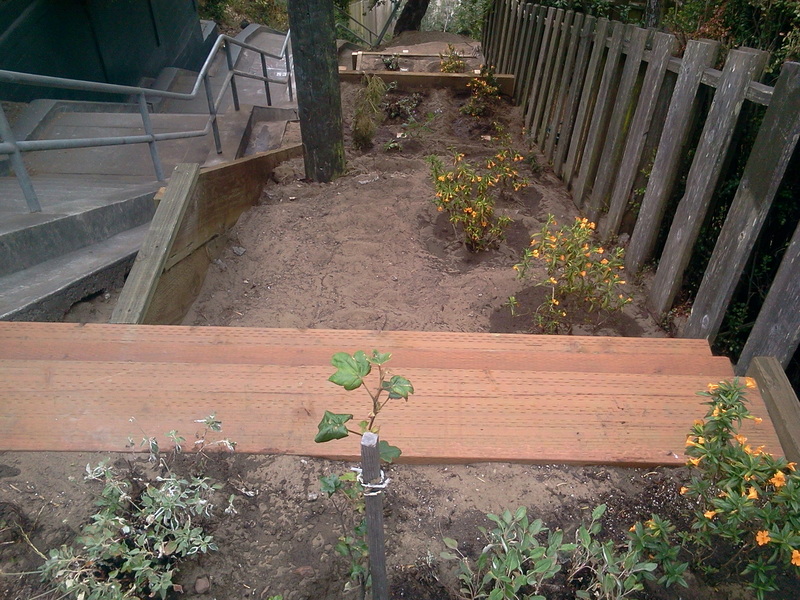 Walking on the top third of the concrete steps already provides glimpses of the gardens-in-progress that are being installed as quickly as SF DPW employees finish sections of the retaining walls and terracing. Views of San Francisco that were previously obscured by untrimmed trees have been tantalizingly revealed. 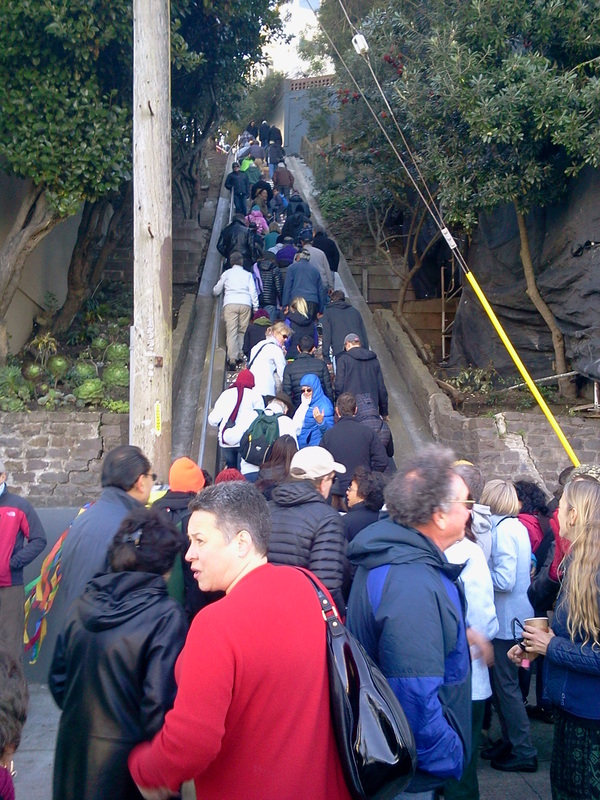 More and more people are using the stairs as a corridor from one part of the neighborhood to another, as a place to walk or run, or simply as a place to gather and enjoy a tranquil oasis in what at times can feel as if it’s an overwhelmingly busy city. Conversations now flow on the Steps as neighbors stop to talk. New ideas for community improvement are evolving—for our neighborhood and beyond. And, as I discovered again on a recent morning, the site continues to be transformed into an equally wonderful place for contemplative moments as the number of hummingbirds, scrub jays, and other birds increases as we plant California natives and other drought-tolerant plants near the top of the Steps; breezes gently move newly-installed native grasses in mesmerizing ways; and the succulent gardens continue to thrive and expand at the foot of the Steps as a hint of what is yet to come. N.B. 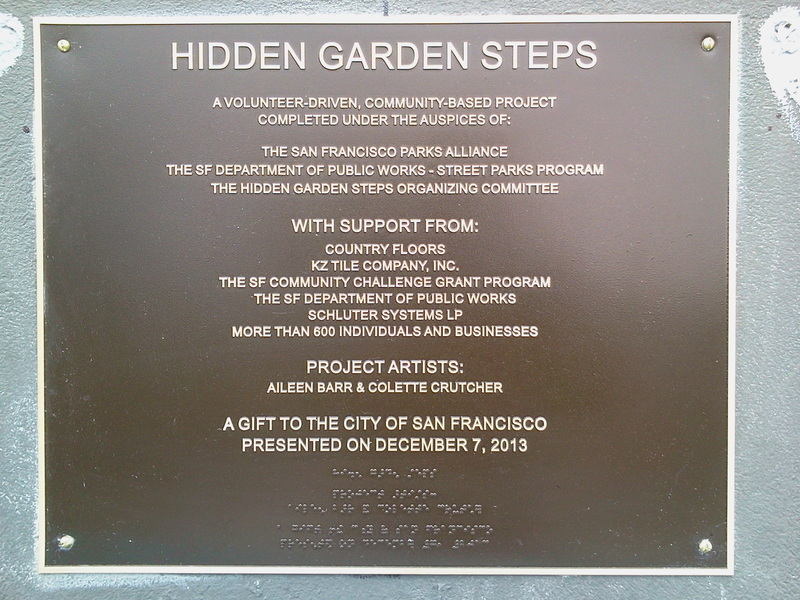 : This is the seventeenth in an ongoing series of articles to document the Hidden Garden Steps project in San Francisco. Sometimes the slightest shift in perspective reveals the presence of stunningly beautiful interweavings that moments earlier hadn’t been obvious between various elements of our lives. That moment came for me this morning while viewing a colleague’s newly-posted video on YouTube. Community, collaboration, and creativity in a variety of venues seemed to be coalescing into an incredibly beautiful tapestry as I watched the video prepared by Hidden Garden Steps organizing committee co-chair Liz McLoughlin. 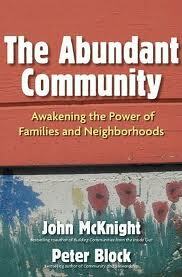 I was initially captivated simply by what Liz had produced: a chronicle of the community collaborations between Steps volunteers, elected officials and civil servants here in San Francisco, and partners including the San Francisco Parks Alliance and the San Francisco Department of Public Works Street Parks Program; cash and in-kind donation successes; and community workshops designed to allow hands-on involvement in the actual construction of the mosaic that is at the heart of the project. As I’ve documented in two interrelated posts here on Building Creative Bridges, digital storytelling draws upon archetypal elements at the heart of vibrant, creative communities by enticingly documenting what is most important to us. 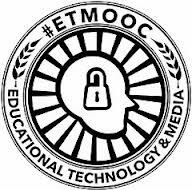 And the experience of exploring digital storytelling within such a dynamically stimulating community as the one developed by those who have organized and are facilitating #etmooc has certainly been inspiring me to look more deeply about how the stories we tell are at the heart of nearly every successful effort that attracts my attention. I see this in my various roles as a volunteer, in the work I do as a trainer-teacher-learner, and in the writing that puts me in touch with creative colleagues worldwide through our promotion and use of social media tools—including those we routinely use to complete assignments within #etmooc and the Social Media Basics course I just finished facilitating again. The more I think about the interwoven threads of these various stories that are unfolding in my life (the Hidden Garden Steps project, #etmooc and digital storytelling, the Social Media Basics course, my face-to-face and online interactions with colleagues at conferences and in social media platforms, and my ongoing efforts as a trainer-teacher-learner), the more fascinated I become at how the smallest part of any of them sends out tendrils along the lines of the rhizomatic learning concepts we’ve also been studying in #etmooc. But then I also realize that I’m falling into the trap of making all of this too complex. What it really comes down to is that we’re incredibly social and interconnected people living in an incredibly interconnected onsite-online world. We live socially, we learn socially, we dine socially, we thrive socially, and we build socially. And, at least for me, one of the key pleasures comes from the leaning that occurs in each of these personal and shared short stories that become the extended stories—the novels—that we are creating by living them. With that act of circling back to learning as a key element of our individual stories, we find one more thread that ties this all together. Given that learning is a process of responding to an immediate need by engaging in positive transformation, we can all continue learning—and creating the stories that give meaning to our lives—through our involvement with challenges along the lines of nurturing the Hidden Garden Steps project, finding community in #etmooc, and becoming active participants in a variety of other collaborative and community-based efforts. The more we look for and document interweavings between these seemingly disparate endeavors, the better learners—and storytellers—we become. N.B. 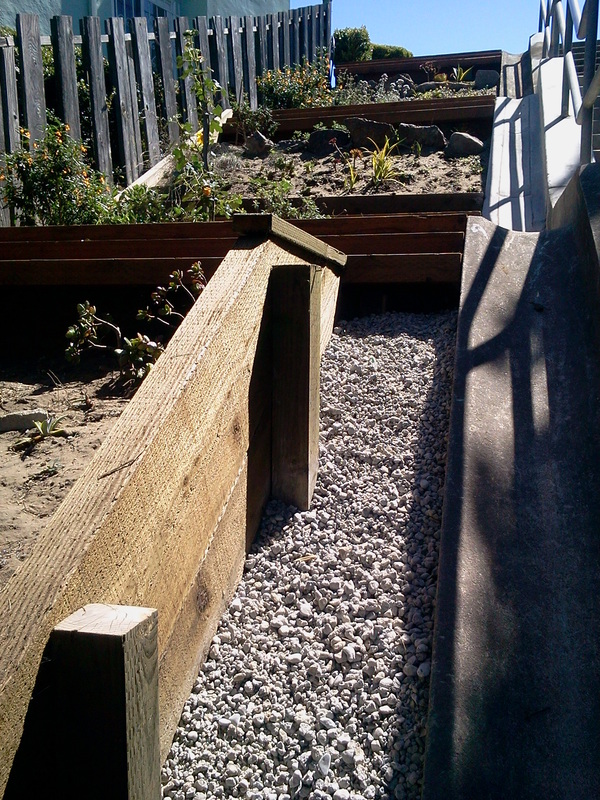 : This is the fifteenth in a series of posts responding to the assignments and explorations fostered through #etmooc and the fifteenth in an ongoing series of articles to document the Hidden Garden Steps project in San Francisco. 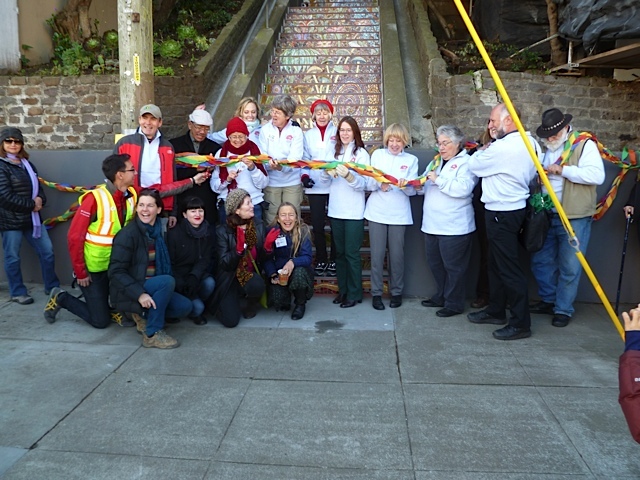 There have been plenty of transformative moments since the Hidden Garden Steps project in San Francisco’s Inner Sunset District began in early 2010. 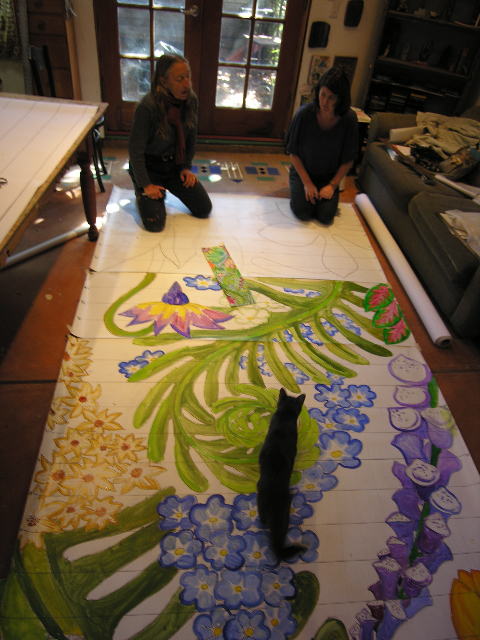 But none have been so encouraging and rewarding than what we saw earlier this month at a community celebration centered around the signing of contracts with Steps artists Aileen Barr and Colette Crutcher—pictured here working on the life-size design they have begun creating in their homes and studios. It’s more than just the acknowledgement that we’ve raised enough money ($100,000 in cash and approximately $20,000 in services completed or soon to be completed) to begin building the 148-step ceramic-tile mosaic that is at the heart of the project. It’s the gathering of a community that through working on this project is even stronger than it was before, and will be even stronger by the time we finish this project that creates a second set of ceramic-tiled steps along with gardens and murals in the neighborhood. And the celebration itself was completely sponsored and hosted by one of our business supporters: the Crepevine at 624 Irving Street here in San Francisco. The Inner Sunset District, like so many of San Francisco’s individual neighborhoods, is a surprisingly vibrant combination of businesses; cultural (e.g., the de Young Museum, the California Academy of Sciences, the Conservatory of Flowers, and the San Francisco Botanical Garden, just to mention a few) and educational (the University of California, San Francisco) organizations; physical beauty (the numerous paths through Golden Gate Park and the hills that are in the heart of the district; and residents and visitors who cherish the area and sustain a variety of organizations including the Inner Sunset Park Neighbors to continually foster collaboration. As members of the Hidden Garden Steps organizing committee have repeatedly acknowledged, we’re drawn not only by the sense of immediate community that exists here, but by the extended community that is interwoven into all we do. 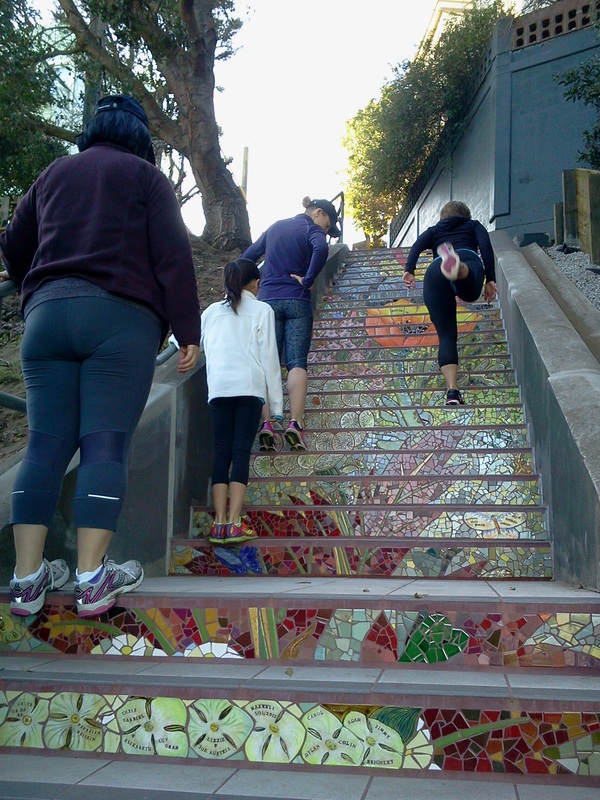 The Steps project alone has partners including the San Francisco Parks Alliance; the San Francisco DPW Street Parks program; Nature in the City’s Green Hairstreak [Butterfly] Corridor; administrators, an art instructor, and art students from the nearby Woodside International School; members of the Inner Sunset Lesbian, Gay, Bisexual, and Transgender community; and the Golden Gate Heights Neighborhood Association, with more partners expressing interest in joining us so we can bring this $300,000 community project to a successful conclusion. We’ve also had tremendous support from City/County Supervisor Sean Elsbernd and his legislative aide, Alex Volberding; the San Francisco Arts Commission; and members of the San Francisco Department of Public Works who have announced that onsite repairs will be underway in the very near future. With all that support in place, it was tremendously gratifying not only to have coverage of the Crepevine event by KCBS radio reporter Anna Duckworth the following morning, but to also find the Steps featured on the cover of our neighborhood newspaper—the Sunset Beacon this month—and in a prominently-displayed letter to the editor in the San Francisco Chronicle Insight section recently. 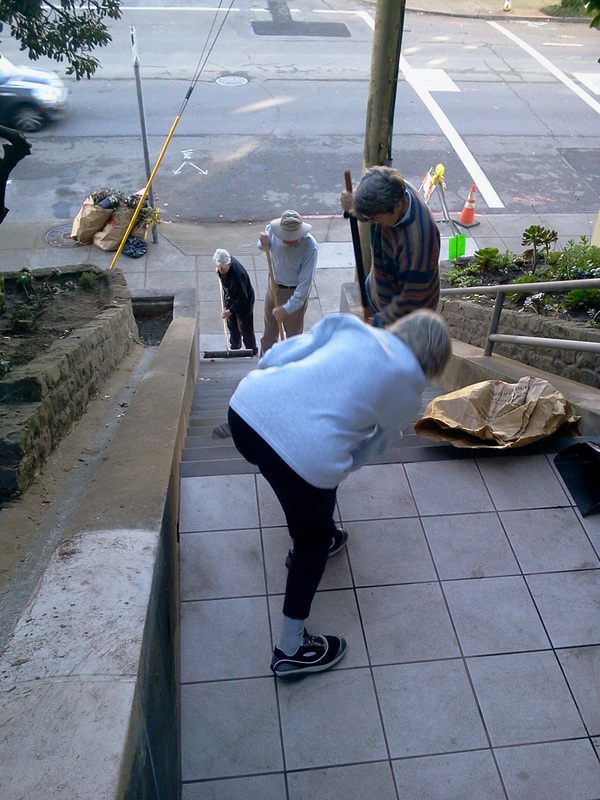 As we move into the production phase on the ceramic-tile mural, we’ll continue to rely on the efforts of volunteers who help us do onsite clean-up on the second Saturday of each month, from 1 – 3 pm on 16th Avenue between Kirkham and Lawton here in San Francisco; donations from individuals, community groups, businesses, and other supporters that now extend not only across the United State but also include a couple of people from the U.K.; and those who can help us build relations with other prospective donors drawn to the mission of creating a new, sustainable community meeting place in a city known for its commitment to communities. 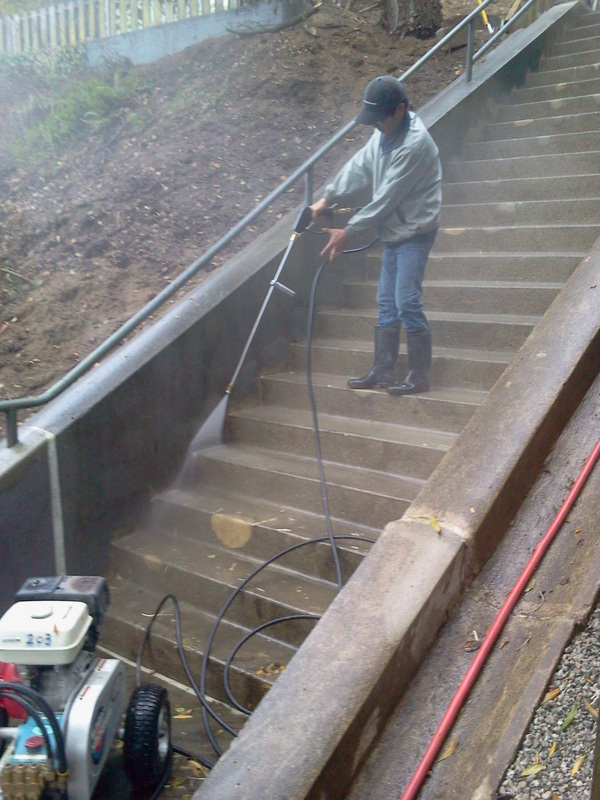 For additional information in how you can become part of our community, please visit our website at http://hiddengardensteps.org. N.B. 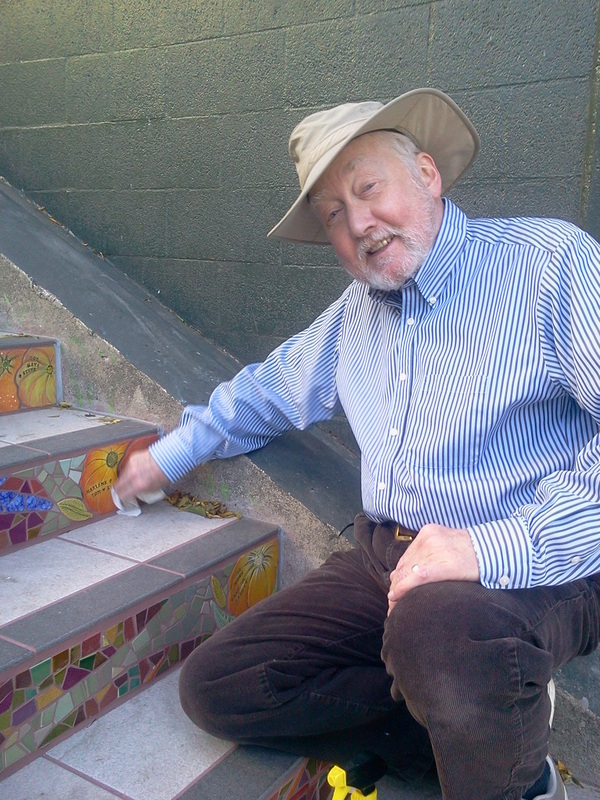 : This is the thirteenth in an ongoing series of articles to document the Hidden Garden Steps project in San Francisco. 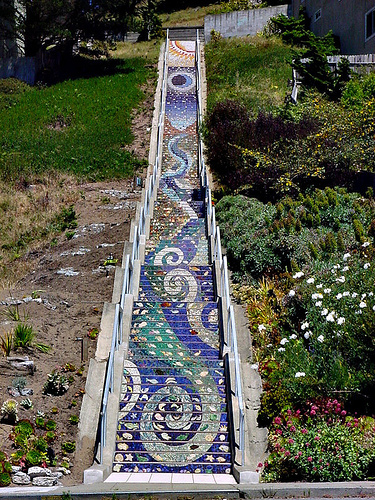 You have searched the Building Creative Bridges blog archives for ‘hidden garden steps’. 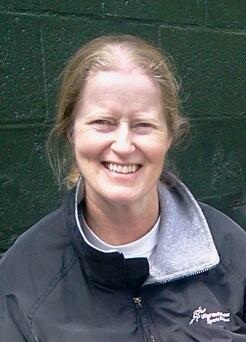 If you are unable to find anything in these search results, you can try one of these links.